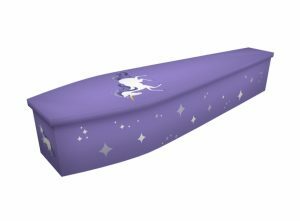 Browse some of our nursery rhyme themed wooden coffins below. Well-loved characters and creatures such as humpty dumpty, unicorns and princesses are often chosen as memorable themes for children. Jonny, our art studio manager, and his design team receive all manner of requests related to nursery rhyme personalities and other famous children’s TV and cartoon characters. While unicorns and princesses are popular, we receive a truly varied range of requests. 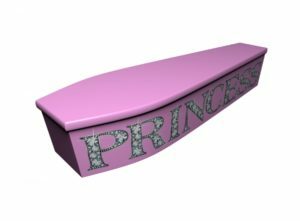 Requests have also been made for wooden coffin designs inspired by more current characters from the world of children’s TV and film. Requests might include designs related to such favourites as Spongebob Squarepants, Peppa Pig, Harry Potter and Dr Who. 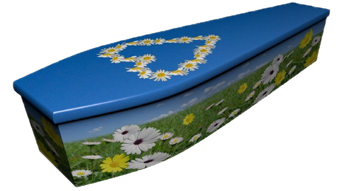 All designs for our wooden coffins are printed directly onto the wood to ensure a crisp and bold print. 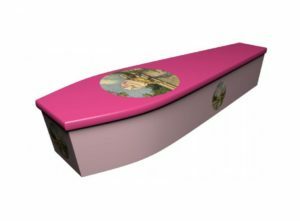 We do not use the outdated process of applying printed vinyl to the coffin. Contact our team today to discuss your design ideas.